Whilst we are readily equipped to cater to your exacting requirements with our wide range of seasonal collections, your needs may also be met by taking advantage of our comprehensive Made to Measure Service. Ermenegildo Zegna’s ‘Su Misura’ allows you the opportunity to create personalised garments with the help of our highly skilled tailoring staff, which will then be delivered in just a few short weeks. Suits, Jackets, Trousers, Shirts and Overcoats can be realised in a huge variety of the highest quality fabrics from High Performance Wool to Pure Cashmere (if you are feeling especially indulgent!). An initial consultation will include a discussion of your ideas and expectations, measuring and the finalisation of small details such as your choice of lining and buttons. Upon receipt of your chosen garment we will invite you for a second fitting and any necessary final adjustments will be completed by our in-house Master Tailor.The particularly good news is that once you are satisfied with the fit and feel of your garment there is no need for a re-measure (provided you don’t change shape drastically!) and the next time you require a specific tailored item you can simply call in and choose a fabric! 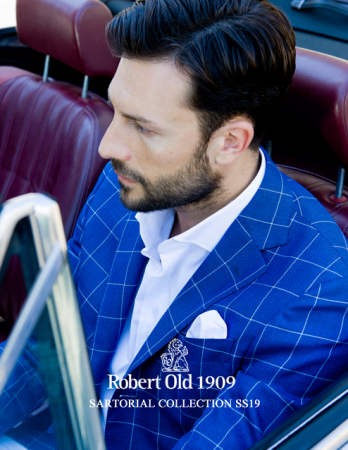 Robert Old Tailoring specialists are at your disposal. Schedule an appointment that suits you. Planning for an occasion or have a specific request let us know here.